Yet Tory has a shameful secret—a secret so powerful that, if exposed, it could strip her of her position and disgrace her family forever. Tory’s blood is tainted... by magic. When a shocking accident forces Tory to demonstrate her despised skill, the secret she’s fought so hard to hide is revealed for all to see. She is immediately exiled to Lackland Abbey, a reform school for young men and women in her position. There she will learn to suppress her deplorable talents and maybe, if she’s one of the lucky ones, be able to return to society. I'll admit it- I signed up for this tour because of the book's cover. The synopsis certainly sounded interesting, but the unique cover was what really drew me in. Unfortunately, the story did capture me quite as much as the cover did. The characters were hard for me to connect with. They aren't poorly written or annoying, but they just don't feel alive. They are the type of characters that I will soon forget, not the ones I will carry around in my heart for years after finishing the novel . At first, the plot makes sense. It is an original and romantic tale of courting and propriety. Things get a little stranger once Tory discovers her magical abilities, and then take a turn for the worse when she stumbles across a little something called "Merlin's mirror." To me, the time travel seemed out of place and unrealistic. The romance was well paced and sweet. Nothing steamy, but definitely cute. It was literally love at first sight. While this intense connection is never really explained, maybe the sequel will clear up the mystery. 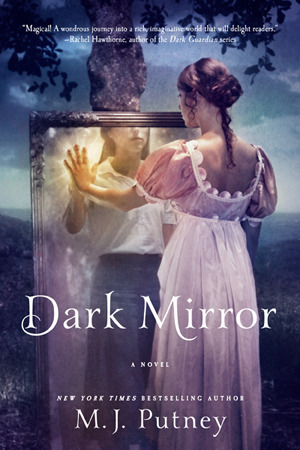 Overall, Dark Mirror was a simple and clean novel. 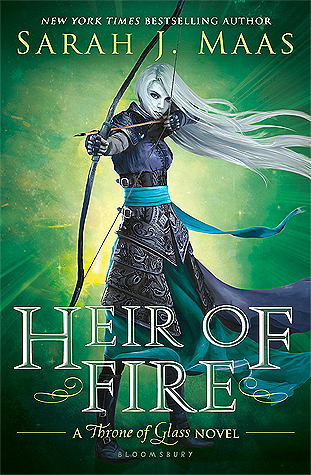 You have your mages (witches and wizards of sorts), your magical academy, and a romance that travels through time. I'd probably recommend it to someone looking for a light read, but not if you're looking for something a little darker or more emotional.